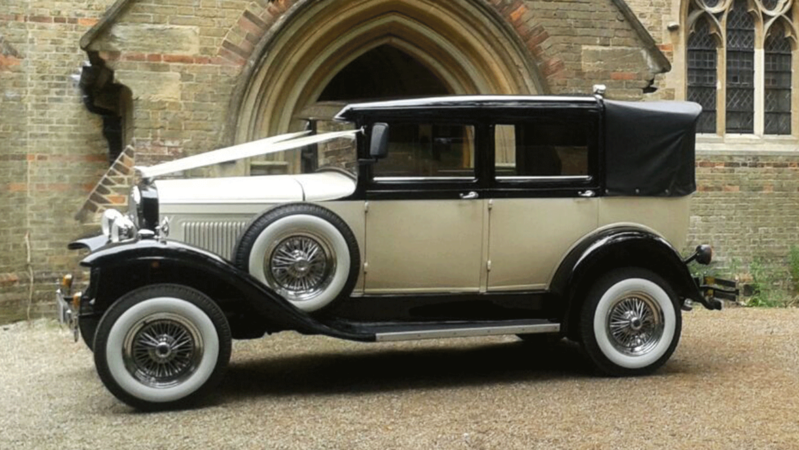 This beautiful Badsworth Landaulette vintage style wedding car can carry up to three passengers and is a smaller version of the larger seven seat Bramwith. 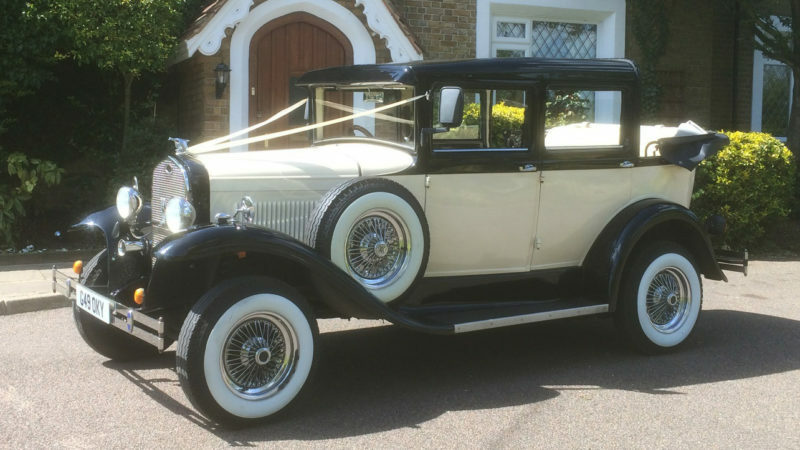 It is ideal for The Bride as it can accommodate a full wedding dress and is also very easy to step in and out of although your chauffeur will of course assist you. 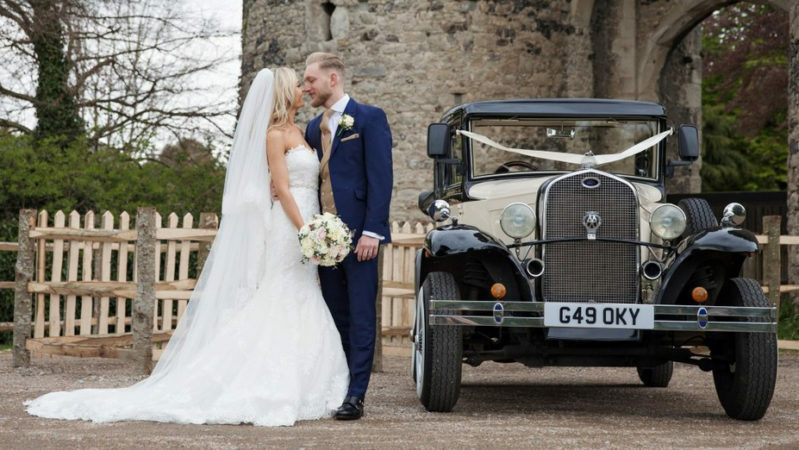 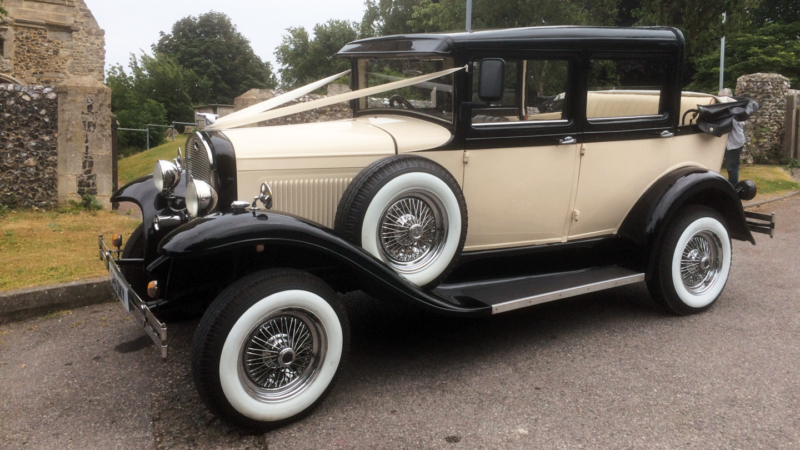 The Ivory and Black coachwork provides a traditional backdrop for your wedding photos and as this is a Landaulette the rear part of the roof can be lowered to provide for superb photographs. 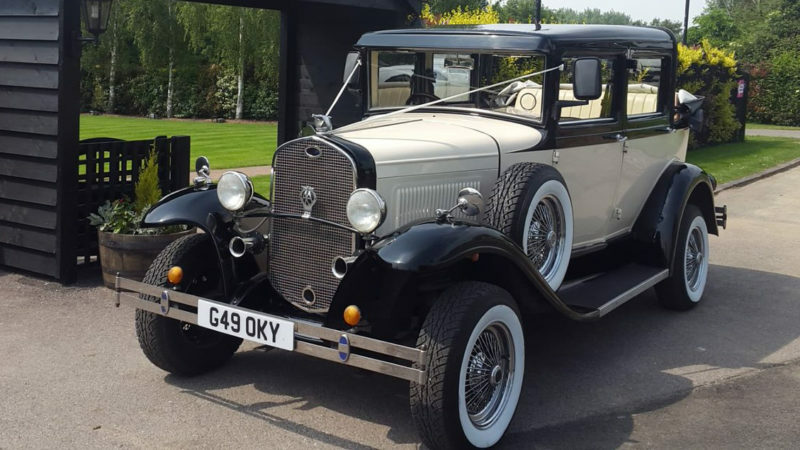 The roof can be lowered or raised within a few moments and even when it is open you are still offered more protection than a fully convertible car as the front part of the roof still remains fixed as shown in some of the photos. 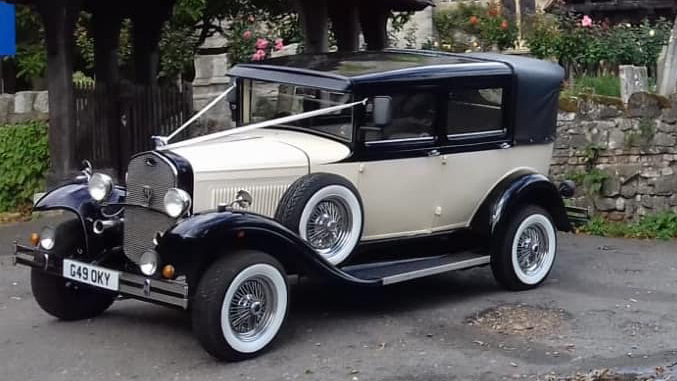 Inside the car is a beautiful cream leather interior.